COSTA MESA, Calif. — Joe Barksdale considered taking his life midway through last season. “It helps from a mental health standpoint,” said Barksdale, the Los Angeles Chargers right tackle. “I’m an introverted person, and it keeps me social because I’m always playing with new people. Dr. Daniel Levitin, a cognitive neuroscientist, said what Barksdale is going through — and how he’s helping to cope with it — makes sense. For the past three decades, Levitin has studied connections between music and the brain. Levitin said playing a musical instrument is a great thing for football players to pick up because it gives them a sense of mastery of a different activity — stepping into the shoes of Buddy Guy, Muddy Waters or Prince — and helping to get them out of the doldrums of daily life while doing something that’s physically demanding. • When will we see Kyle Lauletta? Barksdale released his first album, “Butterflies, Rainbows & Moonbeams” in January of this year, and he has another mini-album due to release early next year. While both recordings are solo projects, Barksdale does sit in with bands on occasion. 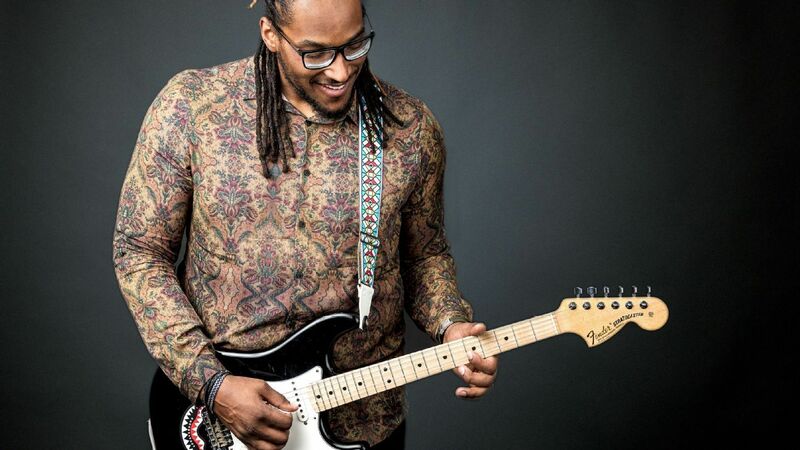 “He’s always struck me as someone who is committed to improving his technique and skills,” said Andy Mooney, CEO of Fender, who added that it’s rare for someone to pick up the guitar so quickly. “When he’s on stage, he’s not playing it behind his head, jumping up and down and being a showman.